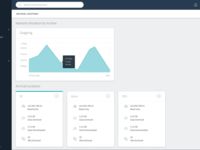 Rubrik delivers instant application availability to hybrid cloud enterprises for recovery, search, cloud, and development. By using the market-leading Cloud Data Management platform, customers mobilize applications, automate protection policies, recover from Ransomware, search and analyze application data at scale on one platform. From days to seconds. Pros: Fastest time to Market - literally takes minutes to install and setup (assuming your prerequisites are met). High rate of innovation - Rubrik has a very fast release cycle, new features come out regularly. Amazing support - very high NPS score, these guys care about their customers. Cons: New to the market - but these guys are just getting started. No support for non-x86 workloads. Only starting to support in-guest agents for application and database consistent backups. Overall: Much better ROI over traditional data protection solutions like Avamar. Fastest time to market. High rate of innovation delivers great business value. File level restore - Rubrik allows you to download individual files from snapshot based backups. Without needing to mount or restore the entire VM. Cons: Access Control - Rubrik's user roles and access could be a bit more granular. Current options do not allow for limited read-only accounts. Pros: More than any other backup platform, the jobs simply run and succeed without any other assistance needed. It is set and forget, replacing a solution that required daily work to verify/validate/fix issues from the backups. Instant restore is not instant, but sub 1 minute, which is very fast to recover. Cons: As it started working from most used to least used features, some edge case backups are not supported. No SQL filestream for transaction log backups, no support for smaller database vendors native products. Cons: More storage array integration needed. Overall: I no longer feel the need to babysit and monitor all of the backup jobs in the backup system. It simply works when it is supposed to at all times. Live recovery is near instant and handles all mounts through the appliance for rapid recovery. Spinning up test SQL servers from mounts are great for our development team also. 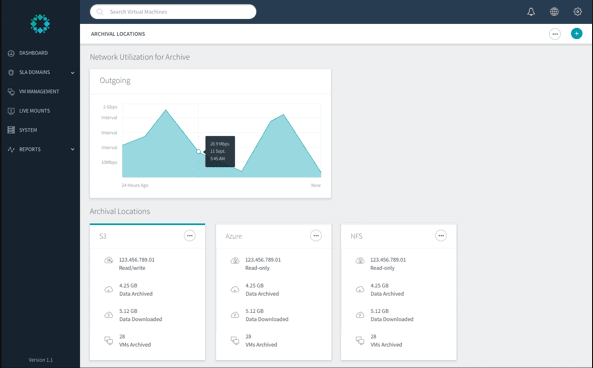 Rubrik is used as the single backup platform within the business. 5. It's improved operational efficiency, as we now don't have to spend time scheduling backups, and has created very tangible savings. In the next 5 years we expect to save over 55% switching from our legacy provider to Rubrik. It's also mitigated us against any future data centre blackouts through its Azure replication capabilities - while significantly reducing our power consumption and footprint in the data centre. Overall: It's improved operational efficiency, as we now don't have to spend time scheduling backups, and has created very tangible savings. In the next 5 years we expect to save over 55% switching from our legacy provider to Rubrik. It's also mitigated us against any future data centre blackouts through its Azure replication capabilities - while significantly reducing our power consumption and footprint in the data centre. 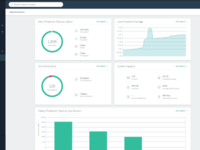 Pros: Finding backups across multiple servers and drives was a painless task with Rubrik. Navigating to the file or folder you needed to recover was easy and the recovery process was short. Cons: Depending on the size of the file being recovered, it would take quite a bit of time to restore the file and then you would have to wait on it to be downloaded. Overall: This software is robust, yet easy to use. I definitely recommend Rubrik if you have servers with information that needs to be retained. Pros: Some pros of Rubrik are that is automatically balances a schedule. Also the feature to instantly live mounts of virtual machines is very convenient. Cons: Lack of native AD/Sharepoint/Exchange tools which would be a nice addition. Also there is no batch recovery without using API calls. Overall: Some benefits are that the product does the back up process correctly and efficiently for our data and does not need to be constantly monitored like other programs we have used in the past. 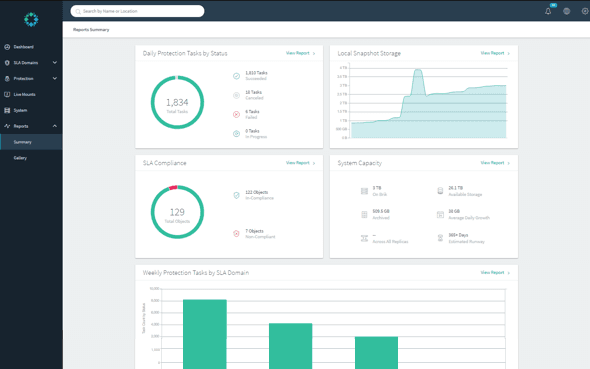 Pros: Rubrik got it all : there is no backup window management and headache anymore. Simply select the SLA and Rubrik will stick to it ! Storage management is also amazing, expect great storage savings ! Cons: The need to have 10GE is in some environment challenging they could have allowed 1Gbps setup with a warning stating that performance should not be optimal. Overall: Hassle-free backup, no more need to worry about testing the restoration of any data ! Pros: I do not need to monitor it all the time. I can just create SLA's and apply them to VM's/servers. Then I can sit back and let it backup. When we have run into issues support has been very easy to work with. Since they are still a new/growing company they take customer feedback seriously and look to implement it where they can. Cons: Some features do not work as shown, but support has been great to help resolve these issues. We were sold on some features that currently do not exist but will be coming in a future update. Pros: Ease of Use/ Deduplication, Restore capability with ease/ Archival capability. The Recovery of VM is much easier to use with variety of options to choose from cloud mount to local live ount. Cons: Bare metal recovery of physical servers, Limitation with thier edge devices. Cons: Missing a few features, many of them are legacy, but still missing. Every release gets more features. Overall: Overall this is a really great product. Anybody who has normal backup needs from Virtualization to SMB/NFS shares can use this product. It even has many of the OS level agents and key application agents like SQL and Exchange. It is missing an Active Directory object level backup/restore. They are working on an Office 365 backup capability (most other products don't have that yet either though). Overall this is a really nice product and it should be at the top of your list to consider if you are overhauling or replacing your backup solution. The experience with Rubrik has been a great experience from POC to installing and using Rubrik. Pros: The ease of use knowing that the product works and you can verify by the Gui and reports. I like how fast software updates are applied. Overall: Not many dislikes about the product but would like NAS backup speeds to be faster but I have seen improvements with each software updates with new features. It does everything promised, and it's super easy to use. Support is incredible. Pros: The ease of use and the fact that it just works. When you do need support, they are very responsive. Cons: The inability to manage the expiration of relics. 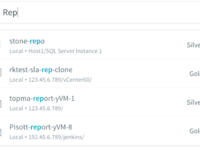 When a VM is deleted, the backups remain in Rubrik, but there is no way to allow these backups to expire. They are completely unmanaged requiring intervention to clean up. Cons: Limited reporting built in to the system and not much report or audit customization availible. Also lackluster RBAC implementation. Pros: prior to the discovery of rubrik and how amazing it works, i had to babysit and personally monitor all of the backups that are ongoing, now, with rubrik, i have more time to myself as i do not have to be there for backups to be take, rubrik just takes care of them all the way i would have done if i was there to monitor it. The live recovery feature is a bomb as it is almost instantaneous. Cons: The lack of first party tools for native application level understanding is really irking, although the developers are making up for this by the implementation of third party tools, but i feel they are not the best and mire needs to be done. I am patiently awaiting the release of 4.1 which should bring massive improvements . Pros: Rubrik is used to protect 1,000+ objects in my environment with 90%+ being VMware virtual machines. It is being used across the whole organization, globally, with three clusters existing to support our global initiatives. It provides backup protection for my objects and also provides a way to migrate certain data profiles into the cloud. Cons: I am patiently awaiting the release of 4.1 which should bring massive improvements to the functionality of the system as well as add additional features missing from the product. 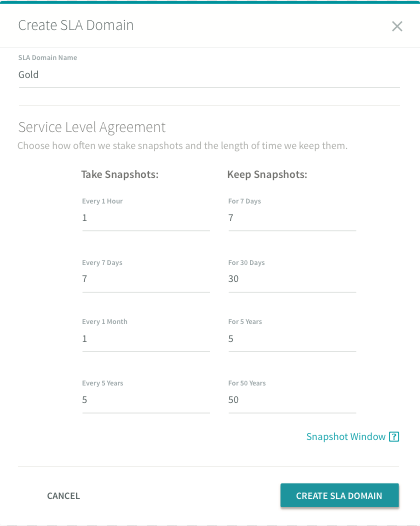 I feel Rubrik is well suited for customers that want to run high amount of snapshots per day and wish for a lower RPO granularity for restore. It is less appropriate for perhaps customers that want to run all their backups in one evening because of how jobs are queued and spread across the backup window. Overall: We haven't progressed far enough with the product to see value to our overall business objectives. Pros: Dashboard interface is extremely easy to use for real time tracking of backups. Great customer support if you experience any issues. Cons: Interface is somewhat all over the place when it comes to checking the status of recently run backups causing us to experience delays when tracking which are successfully completed vs those with errors. Overall: Allows us to backup one of our environments across several different locations / servers and have it viewable from one central dashboard. Rubrik works really great, the compression and deduplication rate are incredible! Pros: -It's quick and fast. Cons: Nothing bad about this product. The product performs well and efficiently. Pricing is a different issue because you pay what you get and this product delivers well so it's expected. Pros: The integration of this with vcenter is fantastic. The backups are lightening fast and restores are exceptionally easy. Cons: I really wish this would integrated with out StoreOnce backend better than it does or be offered as a software only solution that we can leverage our own hardware for. Overall: Backup times have been greatly reduced as well as the space consumed thanks to the great deduplication. 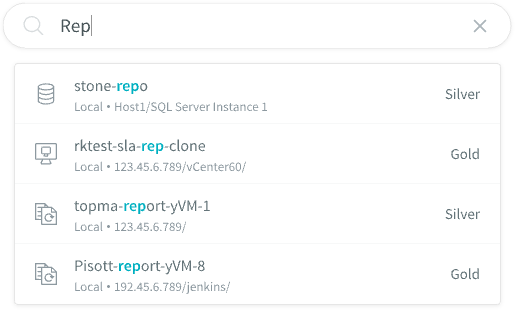 The Rubrik platform is very easy to deploy and simple to manage. Pros: The software is built really well with an easy look and feel. The backups can be run automatically on several different schedules and the recovery time on the appliance can be completed in minutes. Cons: The only Con is not a direct integration to tape backup. It requires a third party solution that is an additional purchase with and additional support contract. Rubrik is very slick, easy to use, and well built. Pros: Frankly, Rubrik is an amazing product. It works seamlessly, has several advanced features, and is extremely simple to use. It just...works after you set it up. Their marketing is also pretty awesome, with several themed boxes of goodies you'll actually want to keep and use. Cons: Rubrik is pretty expensive as far as backup solutions go. A lot of organizations will have a hard time justifying the cost, but given the ease of use in recovering from a backup, it can save a lot of headaches and even some downtime. Do some ROI analysis against your cost of downtime to compare. I think it's worth it for a fair amount of SME's doing business today. Pros: The simplicity compared to other solutions we have used. We had the system installed configured, integrated with multiple virtualization platforms, and tested backup and restore of files and full systems all within 4 or 5 hours. Pros: Simplicity in implementation \ configuration and usage. Scale out platform are good for grows over time. Cons: Real time diagnostics and 3rd party use for backup to tapes are the two factors that might improve the usage overall impression. Overall: Save time and effort! Great product to work with! Simple and intuitive. Every business with data in the cloud needs this! Pros: Rubrik is very quick and smooth. It has a smooth interface and a attractive design. I also like the fact that it has universal support for both Windows and Linux . 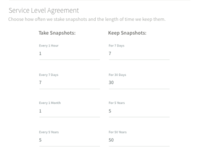 Cons: Pricing might seem high, but it's fully worth the functionality that this tool provides! Pros: From setup to management very efficient. Manage physical, virtual, and cloud apps in one easy-to-use interface. Cons: Nothing much really, but if I had to say would be the cost but its a pretty great software so I don't mind. Pros: You can just set up the system to make an backup and never fails, you don't need to be on the computer watching if its doing anything. Also the Live recovery is very fast, you almost don't notice it. Cons: Some features missing that are road-mapped for future versions of the software such as support for SQL file-streams. Overall: Look at it as one of a two system backup strategy for protecting your organizations data. Pros: Ease of use and speed of backups/restores is a real plus. The search on the web interface is also one of the best I have used and works really well.